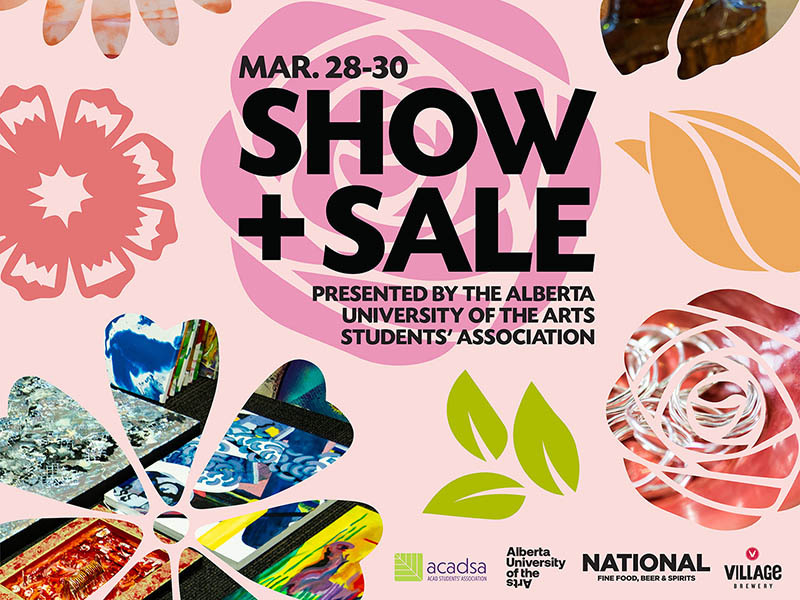 Come see what Alberta’s designers, craft-makers, and artists have created at the Alberta University of the Arts Students’ Association Spring Show + Sale. Full of bespoke pieces sure to spruce up any home or make the perfect gift, this bi-annual event welcomes everyone to view and purchase over 3,000 pieces of handmade art with all proceeds going to support the AUArts student body. You can even get first crack at the First Night Fundraiser, running from 5:00 to 8:00pm on March 28. Along with the company of like-minded art supporters, attendees can purchase a variety of original artwork in advance, meet the artists face-to-face, and enjoy libations and nosh from Concorde Entertainment Group’s Bridgette Bar and National Beer Hall alongside drinks from Village Brewery. Tickets are $25 and can be purchased at auarts.ca. The weekend market continues from 12:00 to 7:00pm on March 29 and from 12:00 to 4:00pm on March 30. Admission is by donation. The AUArts SA Spring Show + Sale runs March 28 to 30, 2019 at the Main Mall, Alberta University of the Arts (1407 14th Ave. NW). Enter before noon on Wednesday, March 27, 2019 for your chance to win a pair of tickets to the First Night Fundraiser on March 28.